I don’t know what made me think of Eartha Kitt today. Lando is still with us. He’s feeling quite comfortable here I think. Sammy seems to be getting along with him very well. They play, nap, play some more, nap. They’re certainly giving us lots of entertainment. Goodness! I just realized making this list how many books I’ve read in the last month or so. Here’s another look at our little Lando friend. Last Friday night, while a vicious wind storm whipped the south end of the province we drove down the highway to Toronto to pick up a weary traveller. 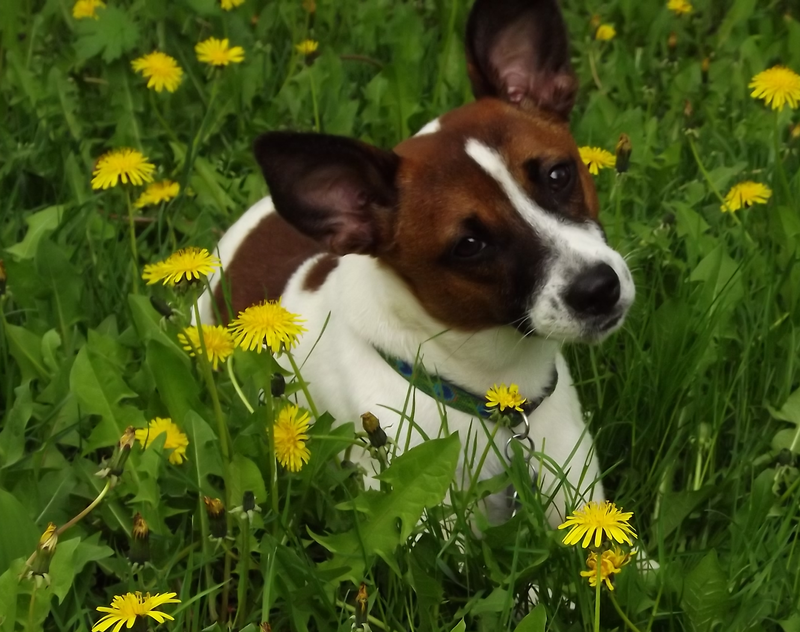 Orlando is about a year old and he had left a shelter in Texas and headed to Ontario along with about a half-dozen others, Jack Russell and Rat Terrier crosses, that had been slated for euthanisia. Some of the dogs had been refugees from Hurricane Harvey. Others, like Orlando, were down on their luck and clearly running out of options. Luckily, the Ontario Rat and Jack Russell Terriers were able to secure them, and Thursday morning, they began the long journey north on what’s been described as the underdog railway. The pups were handed off about 12 times before becoming Canadians and finally reaching their destination. On this side of the border, several families opened their homes to foster these dogs until permanent homes are found. Lando has been with us for barely three days now. We’ve had him to the vet and all seems to be well with his health. He got his flea/tick/heartworm medication, which is a must for all dogs from southern areas where these problems are greater than they are here. His foster brother, our dog Sammy Sam loves him (so far). I understand how many dogs were left homeless when hurricanes hit. But how some, including our Sammy, also from the lower states, and now Lando end up in shelters baffles me. Both of these dogs are absolute delights. They are sweet, smart and so much fun to have around. The temptation is to keep Lando–I’m going to cry when he leaves, but I feel smaller, much more submissive Sammy needs another dog more his temperament and body type. Ultimately, it will be Sammy’s decision as to what dog, if any, finds a permanent home with us. For now, Lando will stay until the rescue is sure he’s ready to go to his forever home. And we are proud foster parents, loving every minute of the experience.